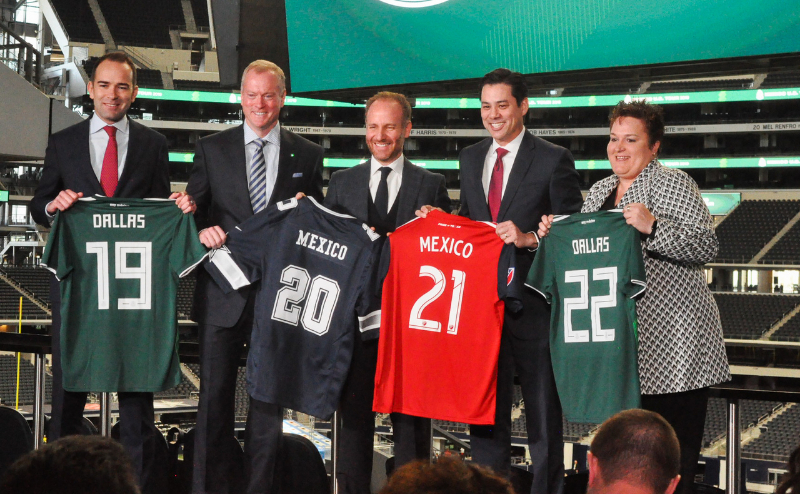 The Dallas Sports Commission, along with the Dallas Cowboys, FC Dallas and the Mexican National Soccer Team, announced a landmark sports partnership on November 28 that will bring the Mexican National Team U.S. Tour to North Texas through 2022. Matches will be held at AT&T Stadium each of the next four years starting with a match on June 9, 2019. In conjunction with the DSC, Mexico will participate in local Dallas community initiatives geared towards growing the sport and promoting the region's blooming Hispanic population (including a bilingual childhood reading program). Events will be hosted throughout the year, culminating with a celebration of the sport and its culture at a fan-fest in downtown Dallas before each match. On November 3rd, the 2nd annual Dallas Bike Ride took place in Downtown Dallas. The Dallas Bike Ride is a closed-road, recreational bicycle event that celebrates bicycling as a form of healthy living, fitness, transportation and fun. The event featured a 20-mile car-free bike ride throughout Dallas and stands out as Dallas' largest bicycle event and the city's only car-free bike ride.